The United States has collapsed. Those citizens who are left are in one of two classes. One: Citizens who have undergone forced lobotomies, as mandated by the United Nations. Two: Those who fight against their tyranny. Petra Kingsley falls under both classes. She falls in line with the drones, pretending her procedure worked. She’s existed among their ranks, hiding in plain sight, being worked to the bone and starved almost to death. Lawson is a bounty hunter of sorts. His target isn’t the guilty, it’s those who are lost in the folds of a broken society. When he spots Petra working in the masses, he stops at nothing to help her escape. But he has no idea who exactly he’s helping—and who will now be hunting them both? So I am going to be honest and say that I have never read a dystopian romance before. But I am a huge fan of Lilas and wanted to read it. I figured if anyone could get me to read a dystopian romance it would certainly be Ms. Felix. And she definitley did not disappoint. I am hooked! I loved it, could not put it down, did not want it to end and now have to patiently wait a month for the next novella in the series. I won't go into too much detail because this is a novella and I do not want to give too much away. The United Nations has taken over the United States forcing people to undergo lobotomies. Petra is one of those people, all though no one knows that the lobotomy didn't really take, but she is pretending otherwise. Lawson on the other hand is a bounty hunter, looking for people to save from the world they now live in. He sees Petra and there is something different about her. She isn't the normal "robot" like person that most people have now become. He knows he must save her and get her out. This novella basically sets the story for the rest of the series. When Lawson takes Petra back to his camp we meet some of the people that I am sure will play important roles in this series. People we will grow to like, some we may fall in love with, like Lawson and Petra, if you haven't already and then those that we are just not sure whether or not we can trust just yet. 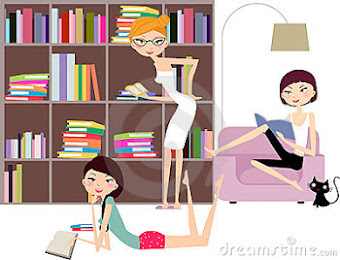 Forced Autonomy has a little bit of everything; a little mystery, suspense, romance and a little bit of that witty humor that I love from Lila Felix. While this is setting up the scene for the series, the romance may be a bit on the light side but t is still there. We can already see the connection forming between Petra and Lawson. And I already love the two of them together, especially their back and forth flirty banter. I love Lawson but that's no surprise because I fall in love with all of Lila's leading men. Lawson felt something towards Petra that he's not used to and has an unexplainable desire to protect her. Petra has this sense of comfortability when she is with Lawson. But they still have so much to learn about each other, so what happens when pasts are revealed. I cannot wait to find out all there is to know about these two characters. 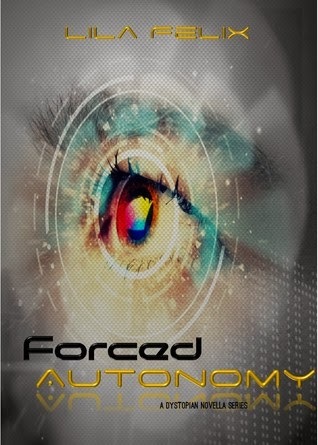 I loved Forced Autonomy and know that this is going to be a fantastic series. Lila Felix did a fantastic job with the first novella in this series. She leaves you wanting more, wondering what secrets will be revealed, who can you trust, what will happen with Law and Petra. This is a must read and honestly a nice change of pace from what I am used to reading. Lila, you have me hooked and I cannot wait to see what you have in store for us. I am loving this series. Ok I am loving Lawson but I am loving the series as well. Phase 2 takes picks up right where we left off. Lawson is away looking for more survivors to bring back to camp. While he is away he still cannot seem to get a certain someone off his mind. He decides to head back a little early because he wants to get back to camp and to Petra. Meanwhile Petra is back at camp taking care of those who have become ill. It’s a dirty job but unfortunately for Petra someone has to do it. Lawson is never far from her mind. She needs to know that he is ok. When Lawson does come back we start to see how these two really feel about each other. But there is something or should I say someone, standing in their way. You can sense the feelings that these to have for each other but they know they they need to keep their feelings hidden. Lawson was warned in Phase 1 and that warning has not been forgotten by either one of them. We see a little more of Odin and while I am still trying to figure him out we do get a little but of a glimpse into what is going on with him. What I do know is that he is the man that you know not to trust. I love Petra and Lawson. I love that we see them express their feelings for each other a little more in this installment. We see the sweet side of Lawson and how much he cares for Petra. When he finds a place with supplies, he finds himself gathering items that he knows Petra will want or need. Petra and Lawson and the rest of the people at camp are just trying to survive and escape from the tyranny and what the world has now become. But you have to wonder with all that is going on in the world right now is their even room for love? I cannot wait to find out. I need the next phase to see what Ms. Felix will have in store for us, especially with the way this one ended. I think that this may be my favorite phase yet. And maybe that is because of the romantic in me who wants Petra and Law to finally admit to themselves and each other the feelings that are slowly forming for each other. The last phase left us squirming in our seats with visions of rats dancing in our heads, gross I know. And that is exactly where Phase 3 picks up. Petra and Law are dealing with rat bites and deciding whether Petra should continue on this journey with Law or go back to camp. But unexpected guests make that decision for them quickly. They head back to camp and now have to deal with a disgruntled Odin and some other issues amongst the members of their camp. What I loved about this phase is watching Petra and Law’s relationship develop a little more. There was a little bit more of romance in this installment, and I loved every minute of it. Law and Petra care for each other and he will protect her in everyway possible. As the reader we knew this but it took them a little time to finally admit it to themselves and each other. The two of them together just makes me smile. Lila still has us on the edge of our seat wondering what will happen next. Still needing to know what Odin’s plans are and exactly how Petra fits into those plans. And whatever those plans are can Law protect her from any danger that may be coming their way. While Odin is still a mystery, I will say I don’t trust the man or any plans that he has. I cannot wait to see where we go next. Cannot wait to see more of Petra and Law together. Oh and the ending! Let's just say I found myself wishing there was just one more page. I kept sliding my finger on my Ipad hoping that maybe there was just a bit more. But no, didn't happen. Another great job by Lila Felix. This is a fantastic series.